As a practicing Internal Medicine Physician, you know that your patients frequently require both medical and lifestyle modifications to reach optimal health. These lifestyle modifications are often the most difficult to make and require support outside of the clinic. Thanks to technology, there are available healthy lifestyle apps on new mobile phones to help promote healthier living. From tracking what nutrients you consume, your sleep, to helping you meditate or exercise, these healthy lifestyle apps can transform your internal medicine patients' smartphone into their personal health coach. While there are many apps for healthy living to choose from, these apps are packed full of helpful features to start your patients on the road to good health. This popular and comprehensive app for healthy and fit living is packed full of features that anyone looking to get healthy in the new year will enjoy. It has multi-functional nutritional and fitness capabilities that make tracking diet and fitness efforts easier than ever. Food and restaurant database with over 6 million items that is barcode scanner capable. Nutrient and Water Tracker that provides detailed dietary reports. Connectivity with many popular exercise devices and apps i.e. Fitbit, Jawbone, Garmin. This healthy lifestyle app is a great recommendation for most Internal Medicine patients as it provides insights into a user's dietary intake and activity levels. MyFitnessPal provides both a free and premium subscription based version of the app that runs $9.99/mo for iPhone and Android devices. The practice of meditation and mindfulness has been shown to help improve multiple mental and physical maladies. This popular app helps users by providing problem-focused guided meditations to address issues like anxiety, stress, sleep and inattentiveness. They also have specialized “packs” for meditations related to sports or acute stress episodes. This healthy lifestyle app might be a good consideration for patients with anxiety, stress, chronic medical conditions or pain issues. Headspace Meditation provides both a free basic starter version of the app and an expanded, premium version for $12.99/mo iPhone and Android users. Exercise is a commonly neglected yet essential part of any healthy lifestyle. Commonly cited barriers to exercise like lack of time, gym anxiety or high fees are eliminated by this apps on-demand, exercise video format. Users can select exercise classes by experience level, preferred workout type or length. 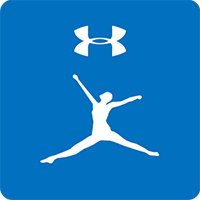 The app has over 1000 certified trainer led videos that cover classes like yoga, high intensity, strength training, and dance programs that can be viewed on your mobile device, computer or TV. This app would be a great consideration for patients in need weight loss or an increase in their exercise, strength or flexibility levels through activity. Daily Burn provides a free 30-day trial that converts to a $14.95/monthly fee if you choose to continue subscribing. Apple iTunes App Store—Health & Fitness Top Charts Category. Daily Burn, Headspace: Meditation, MyFitnessPal. Accessed on 10/28/17.